From high throughput assays to micro-volumes, challenging chemistry or regulatory compliance, our pH Toolbox for Life Sciences supports you in selecting, calibrating and operating the right sensor and meter. Biological systems are so sensitive that even seemingly insignificant changes in their environment can significantly alter their behavior and impact your results, and consequently your research. In every step of life science research, precise, accurate and reliable tests and measurements have to be performed. pH value and conductivity of sample and reagents, despite being simple parameters, are essential to achieve accurate, reproducible results. Dealing with small, TRIS- or protein-containing samples? Check out our free Application Notes providing useful tips on how to measure pH in such samples. Make your day-to-day calibration and measurements easy with the pH Tips & Tricks in Life Science poster. 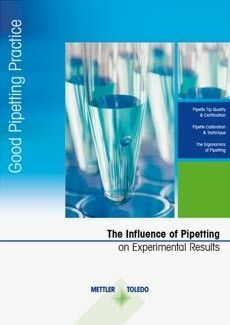 Get a copy for your lab now! *This product is intended for research and Quality control purpose only. 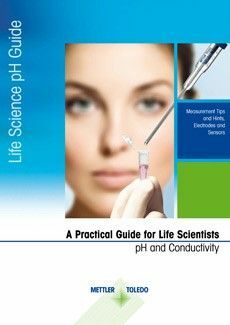 Download pH Toolbox for Life Sciences — pH Guide, Application Notes and The pH Tips and Tricks in Life Science poster. Controlling pH and conductivity in your samples and reagents is essential to achieve accurate, reproducible results. Biological systems are so sensitive that even seemingly insignificant changes in their environment can significantly alter their behavior and change your results. At METTLER TOLEDO we understand the importance of controlling variability in your experiments and have set the standard for precision measurement for more than 65 years. For high throughput assays, micro-volumes, challenging chemistry and regulatory compliance, with a quality meter, the right sensor and good technique, your measuring system can deliver extraordinary accuracy and precision. 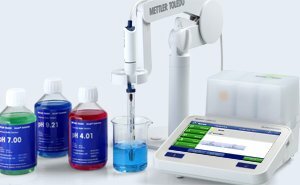 METTLER TOLEDO offers a wide range of quality pH meters and superior sensor technology, so whatever your measurement challenge, we have the tools to meet your needs. 2.1 Does Your pH Meter Meet Your Need?